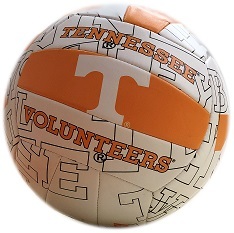 Tennessee Volleyball Team Camp is a fantastic way to put your team a step ahead of the competition this summer! Our staff provides a structured camp that will focus on individual positions, tactical instruction, and team systems. All teams will have an opportunity to train together in various skills, competitive drills and scrimmages throughout this 3-day camp. A Tennessee Volleyball Camp coach will be assigned to your team and will plan each session to address specific needs, while helping guide your team through tactics and techniques. Each team is guaranteed half of a volleyball court for each training session. Please note--We recommend approximately 8-12 players per team. Any team bringing more than 14 players should register as 2 teams and any team bringing more than 21 players, should register as 3 teams. With each team registered, you will receive an additional half court and Tennessee Volleyball Camp Coach. High School coaches are permitted to move kids from team to team throughout the camp. One Tennessee Volleyball Team Camp Coach assigned only to your team. Both Positional Skill work and Team competition against other teams in camp. *Please note, we operate on a wave system and in order to guarantee the best possible camp experience, we do our best to keep the level equal for each wave. Therefore, if you are bringing a JV and a Varsity Team, they will most likely be in alternating waves. Camp store will have it ready for you to pick up once you arrive at check-in.